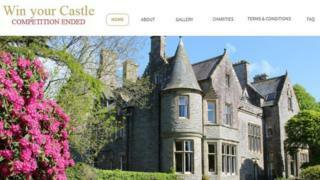 A woman has been rapped by the advertising watchdog for offering a Scottish castle as a raffle prize - but giving the winner a cash prize instead. Susan DeVere set up the contest after she failed to sell Orchardton Castle, near Auchencairn, Kirkcudbrightshire. However, cash giveaways were offered when ticket sales were too low. The Advertising Standards Authority (ASA) said the competition was not "administered fairly" - a ruling disputed by Mrs DeVere. She said she made the possibility of a cash prize clear. Tickets costing £5 were offered via Facebook and winacastle.co.uk, with the winner promised the opportunity to "win the whole building freehold". Media captionSusan DeVere tells Victoria Derbyshire her raffle was "as transparent as possible". Sums of £65,000, £7,000 and £5,000 were handed out in June last year. One person complained the raffle had been administered unfairly because the prize had been changed to a cash amount. Built in the 1880s, the 17-bedroom property had been valued at between £1.5m and £2.5m and comes with five acres of land and views across the Solway Firth. Mrs DeVere told the ASA that all property competitions were run in the same way and the castle could not be awarded if there were not enough entries received to clear the mortgage. It said: "We understood that at the end of the competition three cash prizes were awarded at the value of £65,000, £7,000 and £5,000 instead of the advertised prize, because the minimum number of entries had not been reached, and that the advertiser had offered the winner a share of the property. "However, we considered that a share of the property or any cash alternative that was less than the value of the property, were not reasonable equivalents to the prize as advertised. "Because neither the advertised prize nor a reasonable alternative had been awarded, we concluded that the promotion had not been administered fairly and was in breach of the code." Mrs DeVere told the BBC's Victoria Derbyshire programme that she planned to appeal against the ruling because it "doesn't make any sense". "It wasn't unfair. We did absolutely everything to make it as fair and transparent as possible," she said. "Right from the beginning, on our website it said that if enough entries didn't come in then it would be a cash prize. "We actually gave examples of what the cash prizes would be." Mrs DeVere said that she had not made any money from the competition. She said the ticket sales raised £107,000, of which £77,000 was given out in prizes and £19,000 was given to charity. The remaining money went on things like advertising, websites and legal costs. "It never occurred to me that there would not be enough interest, or else I would not have done it," she added. "It's not something that you do for enjoyment." 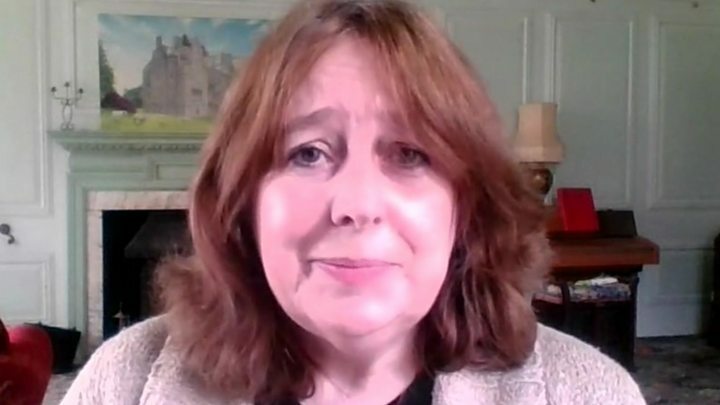 In a post on the Win Your Castle website, Mrs DeVere blamed the raffle failure on companies such as Eventbrite and Paypal, which she claimed withdrew their support. She also said there were "many inconsistencies" in the ASA investigation.